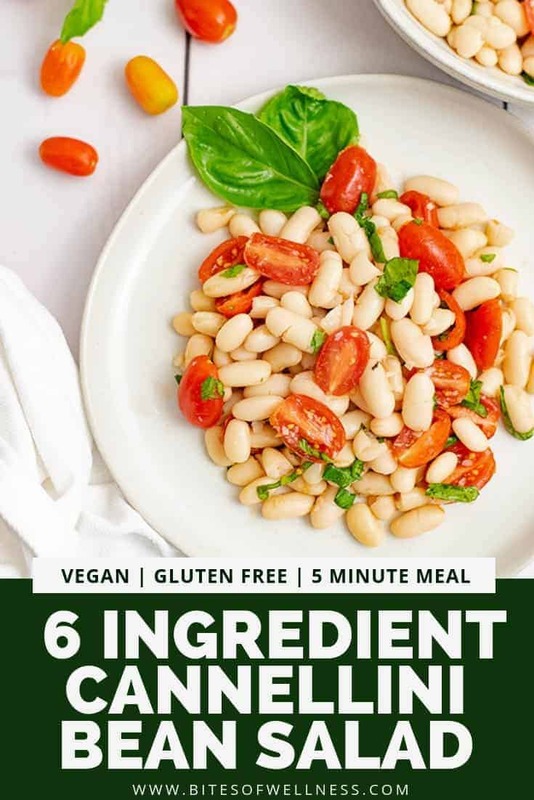 This simple 6 ingredient vegan cannellini bean salad is the perfect quick and simple side dish or even a very easy meatless Monday meal! 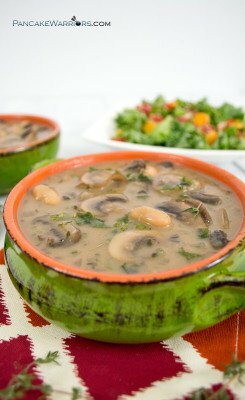 Gluten free, vegan, low fat and so easy to make! 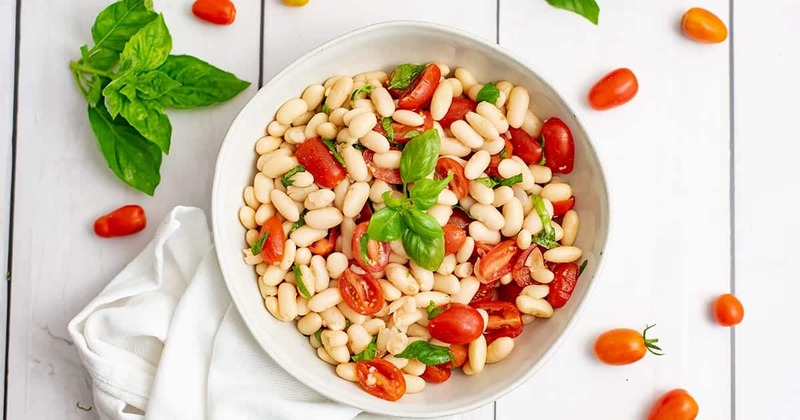 This vegan cannellini bean salad is like summer in a bowl! 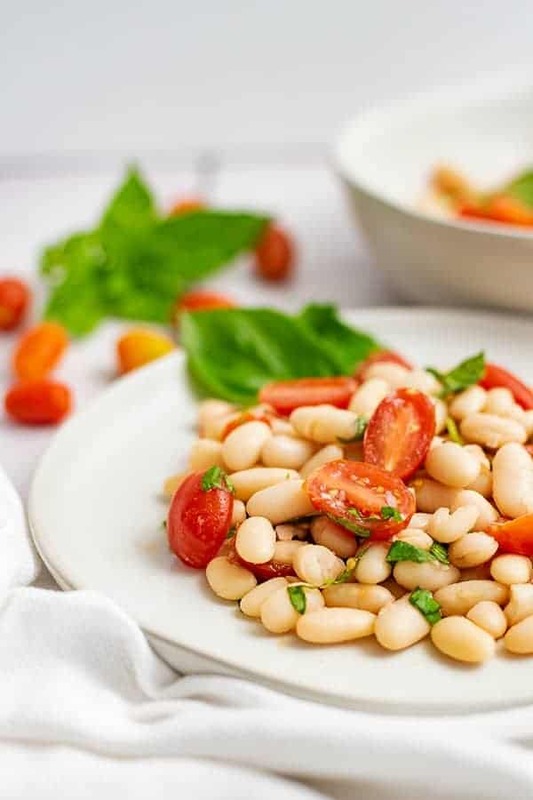 The fresh basil and sweet cherry tomatoes combined with the buttery cannellini beans is the perfect side dish or light summer meal! 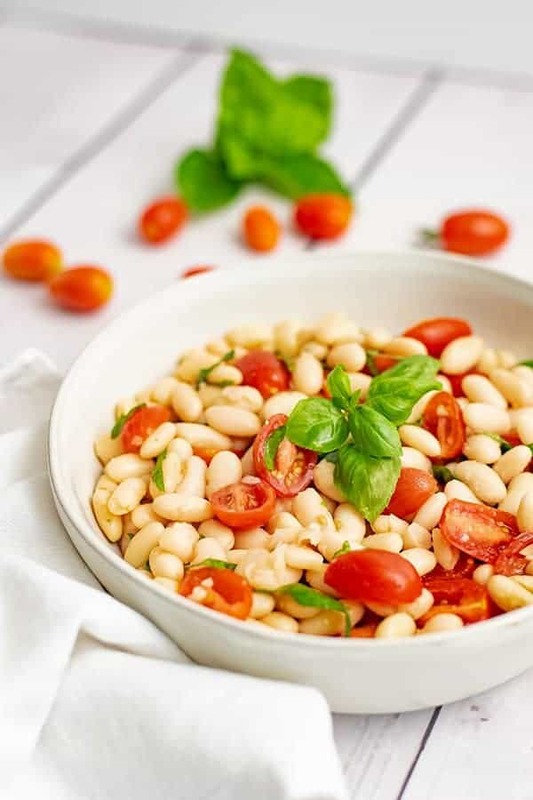 This cannellini bean salad is also great the next day, so be sure to double the recipe to enjoy for lunch the next day! I love to have dishes like this on hand for those nights when I’m just not feeling up to cooking. I got really lucky this year and have a few basil plants that are actually surviving the heat, so I have an unlimited supply of fresh basil on hand. If you don’t have any fresh basil on hand, you will want to be sure to use up your basil fresh from the store within a day or two and don’t put it in the fridge unless it was previously in the fridge (or it will turn black almost instantly). Ok back to this salad. It’s only got 6 ingredients, and they are all very easy to find in the normal grocery store. But I also wanted to give you a tip on a way to add so much flavor without doing any extra work. I use infused olive oil! When we lived in Austin, Dave and I spent so much time trying to discover local businesses and how we could support them or work with them when we were running our gym. One of the stores I fell in love with was an oil and vinegar store in town. They had so many different flavor infused olive oils and balsamic vinegars, all of which you could sample and had recommended flavor pairings with them. 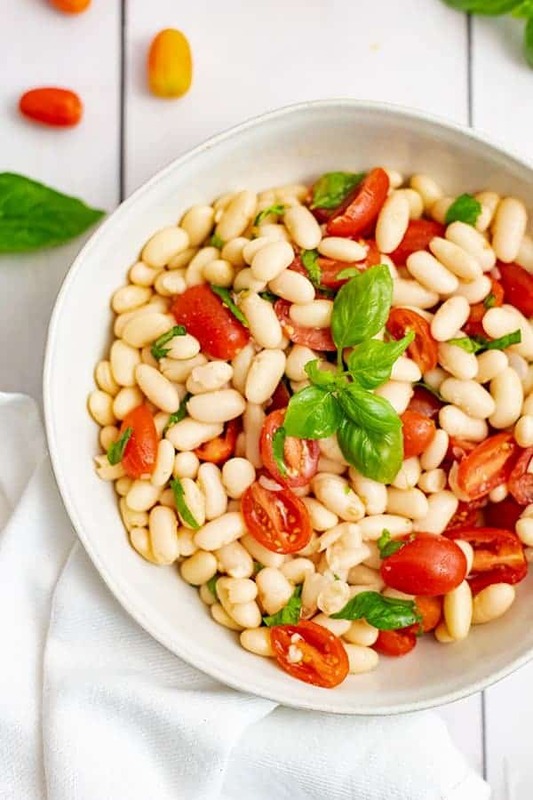 I picked up a Tuscan Herb infused olive oil (affiliate) to drizzle on my fresh salads, like this 6 ingredient vegan cannellini bean salad. It adds a depth of flavor, and is totally worth the investment. I totally recommend you finding a local shop if you can, since you will get the opportunity to sample the oils and vinegar before purchasing it! You can usually pick up smaller bottles as well if you are hitting up a local shop, which can be a great way to save money! I started soaking and cooking my own beans in an attempt to save money but also help removed the lectins and break down the beans to help make them easier to digest. I mentioned lectins before in my 5 ingredient black bean burger post. Go check it out if you are interested in learning more! Since I started this method of cooking beans from dry, I can say that I am having an easier time digesting the beans than when I use store bought canned beans. Plus I’m able to avoid BPA (from can lining) and reduce the sodium since I don’t add salt to my cooking method. I use this same method when cooking black beans and kidney beans as well. You will notice that I add apple cider vinegar to the beans when they are soaking overnight. This is thought to help break down the lectins but also help make the beans easier to digest when eating them. Remember, it’s also important that you chew your food thoroughly. 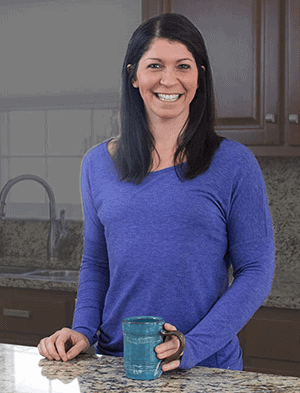 Any food can make you experience digestive discomfort when not properly chewed! Rinse and sort the beans. Run them under cool water for 1-2 minutes in a mesh strainer and look for any rocks or debris. 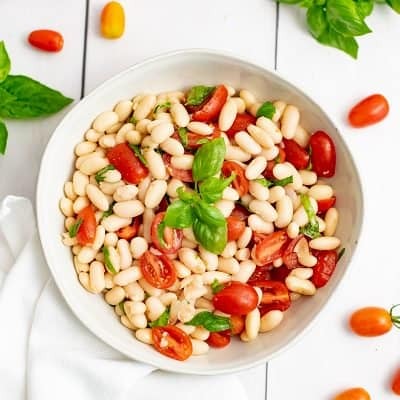 In a very large bowl, add the beans and cover them at least 3 inches with filtered water. The beans will soak up a ton of water over night, so I like to try to add more water than I think they will need. This means you will want at least 3 inches above the beans in water. Add 1 tablespoon of apple cider vinegar (or white wine vinegar), whatever you have on hand. Let the beans soak overnight, at least 6-8 hours. I usually let mine soak for 10-12 hours or more. Rinse the beans in a mesh strainer. 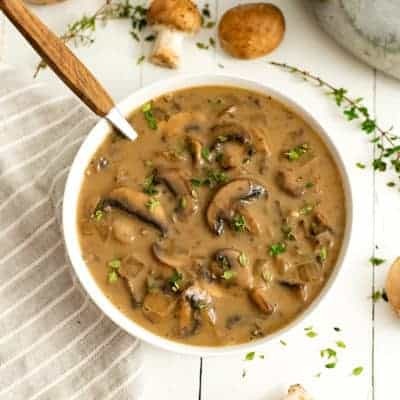 Add the beans to your pressure cooker (I use an Instant Pot (affiliate)). Add enough filtered water to cover the beans. Pressure cook for 6 minutes on high heat. Let the pressure naturally release. Rinse the beans and add to a glass container. Cover in fresh filtered water. Note: If you are not going to use all the beans at once. Let the beans dry out and you can freeze them in single serving amounts for use later on. I always soak an entire bag of beans at once and freeze the leftovers for later. You can easily add them to soups and stews frozen or you can defrost them and use them like usual after freezing. 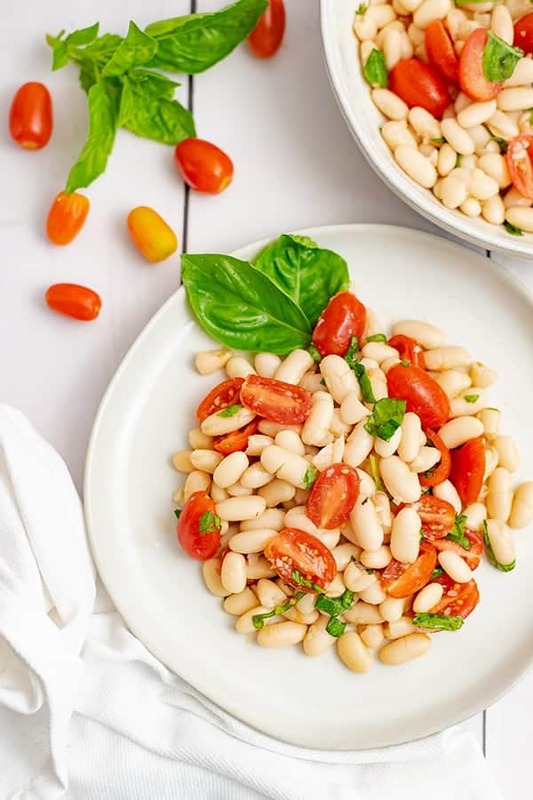 This simple vegan cannellini bean salad is the perfect summer side dish or light dinner! Perfect for Meatless Mondays! Vegan, gluten free, high in fiber and low in fat! Slice the cherry tomatoes in half. 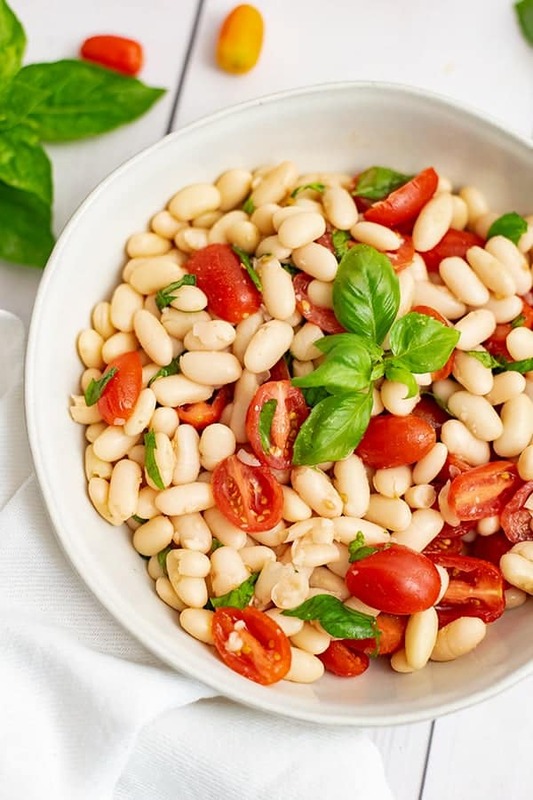 Add them to a bowl with the cannellini beans. Add the lemon juice, olive oil and salt to the beans, tomato and basil mixture. Stir well. This recipe is definitely perfect for those days when it’s the best idea to keep the oven switched off! Can’t wait to try it out, as I’ve been loving cannellini beans recently.